Keton raises his hand and begins to chant. Green runes appear around his hand as he calls on the power of Gozreh to bring lightining down on his foes. 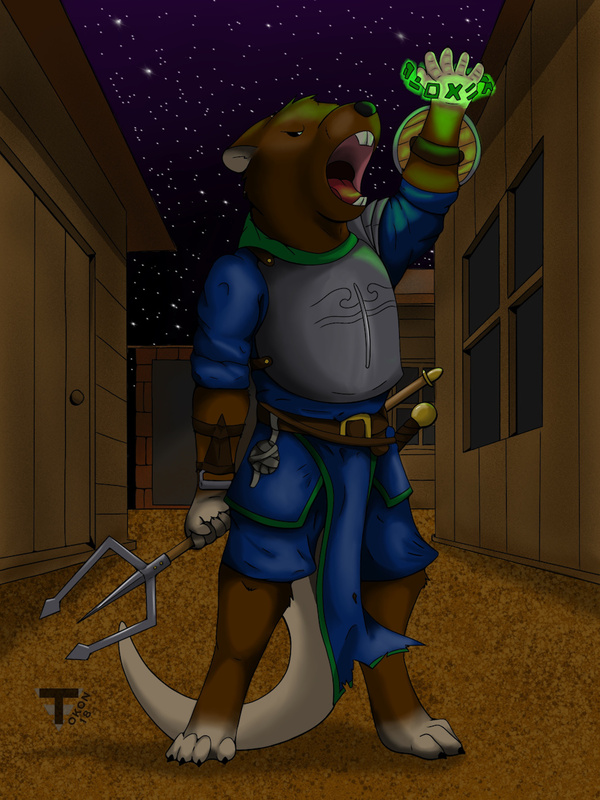 An updated picture of Kenton calling lightining cause i love that spell.